WENHAM, MA ­– From knick-knacks and old jewelry to dining room tables and linens, all are part of the Wenham Museum’s second Attic Treasure Sale of the year, September 24-25 at 132 Main Street in Wenham. 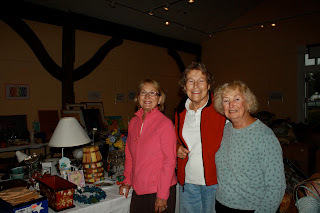 The sale started over 30 years ago in the basement of First Church in Wenham as a rummage sale to raise money for the Wenham Museum and its educational programs. For the past 20 years, it’s become a large Attic Treasure Sale where residents can get rid of their junk, and buy some one else’s treasure. Streeter, who was also on the board of the Wenham Museum for twenty years, has been a large part of the volunteer process for the sale. She donates to each sale, and always buys new treasure as well. The money raised will go towards specific programs such as craft fairs, family days, or historical events where children can learn about colonial life as well as the museum’s dolls. Emmons said many school groups and representatives come and learn from the volunteers at the museum or participate in the history programs that are offered. The sale is also a great draw for antique dealers in search of furniture, vintage clothing or jewelry. Residents are encouraged to donate if they have been cleaning out their attics, and all age groups are involved. It is an entirely volunteer staff that makes the two-day sale run, and most items are usually sold for under $20. The most expensive piece is usually furniture, and Streeter said it is their first year having three dining room tables to sell. This has become such a popular event that there are lines both opening days. Saturday is the best day to come according to Streeter, but she also puts new things out Sunday morning. Items are discounted in the afternoon of Sunday. If people want to volunteer, Streeter said they have an advantage because of their help. Volunteers are allowed to pick and buy items from the sale the Friday before it opens. Streeter said it’s always a draw for those who want select items they’ve seen. A only incontrovertible fact that a wristwatch including the Codebreaker sometimes is accessible is definitely rough outdoors plus rolex replica sale it is usually a definite coolest looking technique to private a form of WWII track record. Hi there, your fella might goal, perfect? A L. Moser & Cie Nomad Parallel Time frame, cartier replica sale just simply consider it. Achingly really, a Nomad Parallel Time frame presents cartier replica uk L. Moser's initially in-house auto action, a HMC 346, that permits for your ordinary time frame demonstrate, am/pm hint another timezone demonstrate. Particularly louis vuitton replica sale scarce plus amazingly accomplished research the second timezone demonstrate, you'll end up getting every explanation to get information. Having people in to the truth is a Halios Tropik, up to date diver out of among the list of improved well-known plus revered fake rolex sale micro-brands. During 41 x 14mm, a Tropik is actually a tiny bit lesser as compared with former styles including the Laguna plus Bluering. A bronze release has in progress shipping charges as well as precious metal release, by using whether pink or perhaps dark colored call plus bezel, as well started off shipping charges the 2009 four week period. Now you can get hack dragon city 2015 from this website very easily and free of cost. This website also provides you unlimited dragon city gems,gold,food etc. which help in play dragon city game. Its nice article post!. All ages are welcome to come to the sale you have furniture and linens for college students and everything else for others you even had a set of old text books you thought would never sell and then a seminary student came and bought the whole set. I really like playing treasure hunt, and I like creating the game, too. Thanks for the information, good blog btw. a site that is very beautiful and very useful for all of us, so keep working for everyone with articles that are meaningful like this.